“Naked a man comes from his mother’s womb, and as he comes, so he departs. He takes nothing from his labor that he can carry in his hand” (Ecclesiastes 5:15). Think for a moment about the things you own; like your house, your car, and the money you’ve saved. Think about your many assets and the stocks you’ve traded, the clothes and electronics toys you have purchased. Contrary to what some people think, there is nothing wrong about owning stuff. It is good to have stuff after all! But let me remind you that your stuff cannot save you–only Jesus can. So while you are on your quest to owning as much stuff as you can get your hands on; bear in mind that your heavenly father says you are to: “Seek first the kingdom of God, and his righteousness; and all these things shall be added unto you” (Matthew 6:33). “Do not store up for yourselves treasures on earth, where moth and rust destroy, and where thieves break in and steal. But store up for you treasures in heaven, where moth and rust do not destroy, and where thieves do not break in and steal. For where your treasure is, there your heart will be also” (Matthew 6:20). All that stuff is not yours, and it’s certainly not who you are. Who you are has nothing to do with the clothes you wear or the car you drive. Jesus said. “Life is not defined by what you have, even when you have a lot” (Luke 12:15). God does not know you as the fellow with the nice suits or the woman with the big house or the kid with the new bike. God knows your heart. Mankind looks at your earthly possession, but God looks at your heart. In the end, it is the pureness of your heart that will define you when you appear before the judgment seat. Solomon spent much of his life pursuing riches but he soon realizes that all was vanity. “Yet when I surveyed all that my hands had done and what I had toiled to achieve, everything was meaningless, a chasing after the wind; nothing was gained under the sun” (Ecclesiastes 2:11). Thank you brother Noel….I’m so glad that I have brothers and sisters in Christ who speak Truth and Life! Thanks you very much Minister Glenda. “God is Spirit: and they that worship him must worship him in spirit and in truth” (John 4:24).The truth must be told, because God loves the truth. I have to confess that I do hold back sometimes. Other times I just have to let it out. You are a woman of truth yourself. God bless you and thanks again for stopping. So true…God is concerned with what our hearts look like. We should be concerned about this also, but always trusting that God’s grace will enable us to process clean hearts. Thank you very much Surviving the Storm, for your wonderful comment. “Blessed are the pure in heart: for they shall see God” (Matthew 5:8). Thanks a lot for stopping by. God bless you. Excellent post, Noel! A right now word! Man is much too concerned about outward appearances, while the Lord is looking at our hearts! 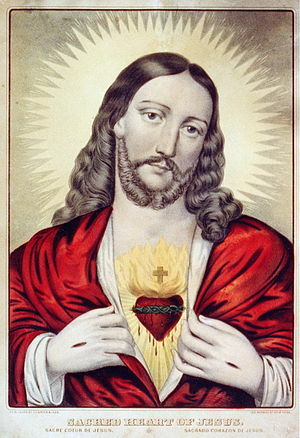 “Create in me a clean heart, O God; and renew a right spirit within me.” God bless you! I truly appreciate your wonderful comment Minister Paulette. If the heart is pure, the outward appearance will also be pure. For as a man thinks in his heart, so is he. Thanks a million for stopping by and leaving a comment. God bless you. Many thanks Greg. I really appreciate you stopping by as always and leaving a comment. Sometimes I have to remind myself that it is with my heart I worship God, and not with my intellect. YYYYYeeeeesssss!!!!!!! I try to share this truth with others so often. Keep on sharing the good news Sakira, your reward will be great. “But this is the covenant that I will make with the house of Israel after those days, declares the LORD: I will put my law within them, and I will write it on their hearts. And I will be their God, and they shall be my people” (Jeremiah 31:33).